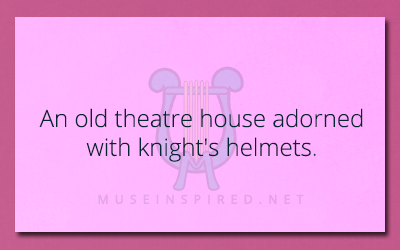 Siring Settings – An old theatre house adorned with knight’s helmets. Siring Settings - The lake where the dragonflies are as big as cats. Siring Settings - Describe a forbidden waterfall. Siring Settings - The lake and the tar pits.